Home › Blog › Poachers, Primates, Politics: Dire Times for Lemur Conservation in Andasibe? 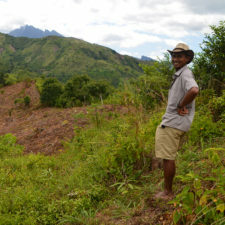 You are here: Home › Poachers, Primates, Politics: Dire Times for Lemur Conservation in Andasibe? Poachers, Primates, Politics: Dire Times for Lemur Conservation in Andasibe? Our guest blogger today is Rainer Dolch, the Senior Coordinator of Association Mitsinjo, an organization based in Andasibe, near the Antavolobe Forest where the 11 lemurs where poached on February 28th. Read why this incident is important and how Association Mitsinjo fights for the conservation of lemurs and their ecosystems. It is a truly shocking sight. 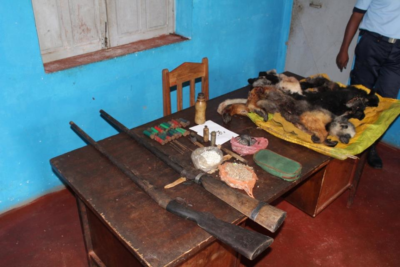 The eviscerated carcasses of eleven Critically Endangered lemurs lie on the desk of the Gendarmerie’s outpost in Andasibe. On 28th February, the ten Indri and one Diademed Sifaka have been killed in the south of Andasibe Commune, which is world-famous among nature enthusiasts for its gentle and approachable lemurs. While two perpetrators caught in the act are still at large, one of the three poachers has been arrested. Two rifles and one slingshot have been confiscated. The sight and the stench of the lifeless cadavers are devastating, as the protection of these lemurs is the very concern of our association’s work in the region. Having started as a grassroots initiative at the turn of the century, Association Mitsinjo has now evolved into a community-based conservation organization of regional importance and focusing its conservation efforts on the biodiversity of Andasibe Commune and neighbouring climes. Mitsinjo’s five dozen members are all from Andasibe Commune and have taken up the challenging cause of preserving Andasibe’s rich and unique wildlife. Shortly after the founding members began to work as tourist guides, they signed a contract for a gestion contractualisée des forêts (GCF) and took over the management of the Analamazaotra Forest Station, immediately adjacent to Andasibe-Mantadia National Park. In 2007, the initial contract has since been altered into a lease contract (location de gérance), with a validity period of 30 years. 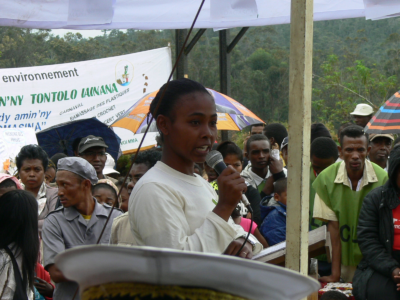 This pioneering management transfer to Mitsinjo has subsequently encouraged numerous other local communities, known in Malagasy as vondron’olona ifotony (VOI), to come forward and also conclude management transfer contracts for remaining rainforest patches in other parts of Andasibe Commune. Among those is VOI Firaisankina, which has obtained the management of the Antavolobe forest at the southern edge of Andasibe Commune. Initiated by the late Ndrina Kotonirina, a renowned naturalist who has long worked for Madagascar National Parks, VOI Firaisankina is now led by Jean Etienne Toto. According to him, gunshots from Antavolobe forest were frequently heard in the weeks before the arrest. He finally decided to bring in the Gendarmerie who managed to ambush the poachers and arrest one of them. Given the blaze of gunfire at Antavolobe in previous weeks, the full scope of this lemur slaughter is likely to be many more times larger. The eleven unfortunate individuals that lie slain on the Gendarmerie’s desk are only the tip of the iceberg. The reaction of Andasibe’s inhabitants to this heinous crime is both admirable and encouraging. Everybody condems this act as an attack not only on local wildlife and development, but also on their pride and the very identity of Andasibe. People’s comments on social media overflow of shock, disgust and disdain for what has happened. The overwhelming majority of Andasibe’s inhabitants have fully identified with “their” lemurs and can not endure the thought that lemurs are harmed or even killed. This is especially true for the Indri which is Andasibe’s emblematic mascot. While the Malagasy name for the species, babakoto, is still used as a swearword by most of their compatriots, the people of Andasibe are immensely proud of their Indri. Many people use the Indri call as their cell phone ringtone and the local radio station, Radio Vahiniala, has made an Indri call its theme tune. Every year, Andasibe reveres its favourite animal with the Indri Festival, which is co-organized by Mitsinjo. Through its environmental education program, Mitsinjo has been contributing to Andasibe’s environmental awareness since its beginnings. Currently, the association works with all ten primary schools in Andasibe Commune, teaching children about the environment and the importance of biodiversity for human well-being. Mitsinjo’s educational staff visit each primary school every week, teaching schoolchildren about the environment in a playful way and enagaging in activities that encourage them to think critically about the need to preserve natural resources and biodiversity. Additionally, schoolchildren are regularly taken on theme-based excursions into the rainforest and participate in planting trees during reforestation activities. At the end of the school year, all primary schools take part in a big festival which involves a small competition during which classes are given the opportunity to summarize what they have learned about the environment through song, dance, or acting. At present, more than 300 schoolchildren are enrolled in the program. As they also take the environmental messages home to their parents’ homes, Mitsinjo’s environmental education activities helped boost environmental awareness within the community, especially among previously unreached parts of the population. However, all these successes in raising environmental awareness won’t bring the eleven lemurs back to life. Their dead bodies are a stark reminder of the sobering fact that a few ruthless people are sufficient to annihilate in a instant what the vast majority wants to see preserved. Thanks to the natural riches of the area and the relative ease with which indri and other lemurs can be observed, the forests managed by the different VOIs as well as Andasibe-Mantadia National Park have made Andasibe one of the two prime destinations in Madagascar. The fact that the poaching incident happened in Andasibe is therefore likely to have a negative impact on tourism in Madagascar in general and thus on one of the major foreign currency earning industries of the country. Consequently, this will threaten the prosperity of many Malagasy families. Association Mitsinjo has embraced nature tourism as a major source of income from the beginning. A network of nature trails, a reception, a restroom, several shelters for camping and a handicraft shop have been established in the Analamazaotra Forest Station. Several circuits to the rainforest are offered and proceeds from visitors’ fees benefit both the guides and the association itself. A considerable percentage of Mitsinjo’s annual budget is generated through income from nature-based tourism. This has enabled the association to pay their staff who work to maintain and improve tourism infrastructure and/or ensure the implementation of related conservation projects. Income for guides and other staff benefits the local community both directly through money for their families, and indirectly through their increased purchasing power. Apart from those who directly benefit from nature tourism (hotel owners, guides), Mitsinjo focuses on the less privileged members of the community to also get their share of the pie. For them, sustainable forms of agriculture such as SRI, agroforestry, permaculture and fish breeding are promoted. 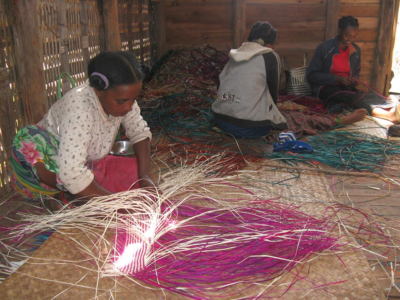 The support for the handicraft-producing Menalamba women’s association contributes to both the empowerment of women and the sustainable use of natural resources. These activities are designed to both ensure food security and increase family income. At the same time, they are hoped to lead to a decrease in unsustainable forms of agriculture (such as the widespread slash-and-burn or tavy). If they are not quashed by population growth, that is. Therefore, Mitsinjo’s work also includes raising awareness and outreach in family planning and reproductive health. While Mitsinjo’s efforts continue to improve local livelihoods, poverty remains a challenge to both human prosperity and biodiversity conservation throughout the country. 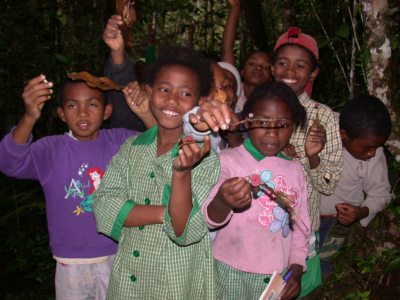 To a great extent, environmental degradation in Madagascar is indeed poverty-driven. But it is the rich who most often exploit the poor for their environmentally destructive purposes. These include timber barons or jewelers who can rely on an infinite army of day laborers to be hired as lumberjacks or gold/gem miners. And they obviously include people who pay a temptingly good price to anyone who supplies them with dead lemurs, whether for culinary or other reasons. Despite its severity, the poaching case in Andasibe is by no means the biggest such incident in Madagascar. In recent years, northeastern Madagascar appears to be a focus of lemur hunting and the occasional discovery of several dozen dead lemurs is not uncommon. Lemur poaching is increasing almost everywhere in Madagascar. This is not only linked to the erosion of traditional hunting taboos, but also to an increasing demand for bushmeat as well as persisting corruption. Poachers act with impunity, often within ‘protected’ areas. They can do so, because almost all reserves in Madagascar are insufficiently controlled by the respective management entities and because authorities and law enforcement agencies all too often turn a blind eye to poaching and trafficking of lemurs in general. The question arises why the lemurs from Andasibe were poached. It is more than obvious that the perpetrators did not act out of poverty to feed their families. Whereas poverty-driven hunting for the pot is not uncommon among disadvantaged remote rural populations, protein deficiency can clearly be ruled out in this case, as the arrested poacher appears to be quite privileged. Allegedly, of all people, he is not only the brother-in-law of the Mayor of Andasibe, but also the vice-president of Fédération Miaradia, a regional platform that unites all local communities managing rainforest areas and including VOI Firaisankina! It is utterly frustrating that this environmental crime was committed by somebody who was elected to lead conservation efforts and to ensure that environmental laws are enforced. However, the arrested poacher is by no means a single offender. The right questions have now to be asked. Who are the other two poachers that were able to escape? Are any efforts made to locate and arrest them? Who are their complices? For what purpose were the lemurs killed? Who provided the guns and ammunition? Who are the instigators of this crime? What other wildlife crimes are they responsible for? Who else might be backing their crimes or hushing them up? Why? In the 1980s, before nature tourism became a major source of income for many of Andasibe’s inhabitants, lemur hunting was commonplace. Both guns and ammunition were widely available then and internal migration had triggered the erosion of local hunting taboos (fady). Moreover, the construction of the new road between Toamasina and Antananarivo saw a huge influx of foreign workers, mainly from Asia, who were eager to buy local bush meat to satisfy their appetite for exotic repasts. Now, history seems to repeat itself. Mafia-like networks appear to regularly sell lemur meat to secret luxury restaurants from Sambava to Toamasina. If the Andasibe poaching incident is indeed linked to those networks is anyone’s guess. In a country where many gendarmes and police officers won’t even bother to do their job if not paid an extra per diem by the people soliciting their services, one should not be overly optimistic that those networks will be tackled or even smashed. And as many journalists also expect extra per diems before proceeding to action, investigative efforts to expose the bosses and organizational structures of these networks are also unlikely to happen. According to Transparency International’s corruption perceptions index, Madagascar is in the Top 25 of the world’s most corrupt countries. In this climate, organized crime and mafia-like networks thrive. They will jump to whatever can be turned into cash and exploiting and trafficking endangered species has become a very lucrative business indeed. The clearance rates for two of Madagascar’s most profitable (and infamous) wildlife crimes, the trafficking of rosewood and tortoises, are embarrassingly low. Ideally, the lemur poaching incident in Andasibe will be understood as a call to action and a turning point for Madagascar’s stance on fighting wildlife crime. The investigation must be conducted in a professional and transparent way and target the kingpins rather than the stooges. This also calls for informing the public, regularly and in a timely manner, about the state of the investigation. On the larger scale, decision-makers finally need to get serious when it comes to environmental crime and the enforcement of the respective laws. Ultimately, a comprehensive political reform might be needed to turn the tide to save the lemurs and Madascar’s unique wildlife. Even more importantly, Malagasy society needs to defend its genuine ethical values. Meanwhile, community-based organizations continue to struggle to save what is left. Apart from protecting existing rainforest, Mitsinjo is also made a commitment to restore rainforest in areas where it has been degraded or destroyed before. 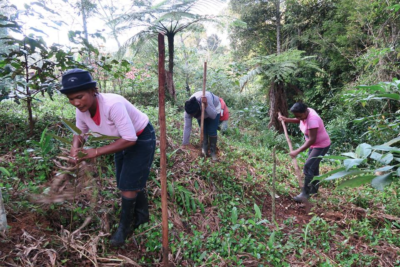 A total of seven tree nurseries has been established – some of them managed by the association itself, some by other community members – with an annual output of tens of thousands of seedlings of more than a hundred native rainforest tree species. In collaboration with various partner organizations, more than one million rainforest trees have been planted over the years. Rainforest restoration contributes to reduced erosion, improved water retention and the promotion of pollinators and therefore provides direct benefits for agricultural performance and local livelihoods. 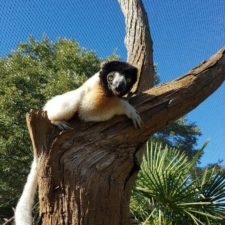 At the same time, it provides new rainforest habitat for lemurs and other wildlife and re-establishes long-lost connectivity between existing habitats, reviving the possibility of genetic exchange between populations. 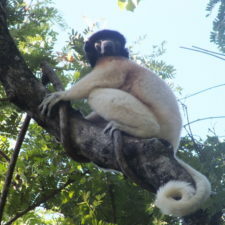 Thanks to these efforts, nine groups of Indri thrive in the Analamazaotra Forest Station. Some groups are monitored on a daily basis by Mitsinjo’s monitoring agents, villagers turned para-scientists, who continue to gather baseline scientific data which will help to improve lemur management and survival. This community-based lemur monitoring has now been extended to the rainforests of the Torotorofotsy-Ihofa area in the northern parts of Andasibe Commune, an area which is home to more than a dozen different lemur species. The continuous presence of the monitoring agents deters potential poachers and other offenders. 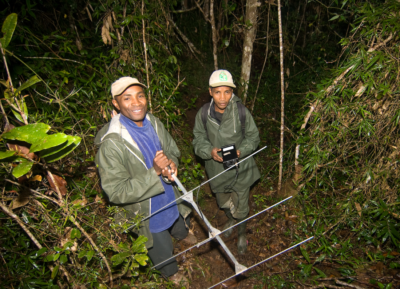 Delegating the responsibility for lemur monitoring and conservation to the local community has provided them with a sense of appreciation and created a feeling of pride in what they do. 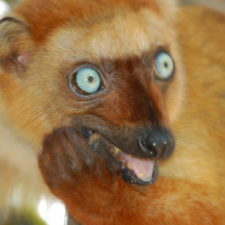 They are our biggest hope in saving the lemurs of Andasibe.